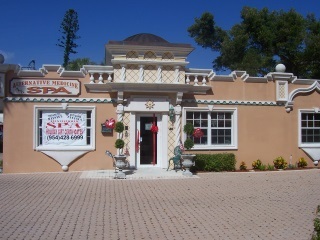 We welcome you to our sanctuary of relaxation, healing and rejuvenation of mind, body and soul. We invite you to experience the benefits of Bio-energetic Medicine that will detox the toxins from your body. These toxins are contributing factors and the cause of many debilitating and fatal illnesses. The Sanctuary will introduce you to the amazing Scalar Energy Treatment, which was written up in the Boca Raton News! This heralded treatment is an extraordinary blend of Scalar Energy, Bio-feedback and Color Therapy which has been known to reduce Pain, Stress and Anxiety, Muscle Spasm, Fibromyalgia, Improve Concentration and Mental Focus. All of these treatments and many more are now available to you where Broward and Palm Beach County meet, in the heart of Deerfield Beach....At the Center For Alternative Medicine and Spa. Our staff eagerly awaits you!